The games offer a fun day of bocce, horseshoes, floor shuffleboard, carpet bowling, cribbage and great fellowship. If your new to any of these games, never fear, instructional clinics will be available. While the games are two weeks away, organizers are asking to people to register by July 20. It’s reasonable, too. Five dollars will allow you to enjoy two sports and includes lunch. They are hoping to attract participation from outside of the area, including Springbank, Bearspaw, Airdrie and Bragg Creek. The games run from 10:30 a.m. to 3 p.m. and they’re all centrally located at or by the Spray Lake Sawmills Family Sports Centre. Cribbage, carpet bowling and floor shuffleboard are all in the Seniors on the Bow Centre while horseshoes and bocce will take place at the Bow River’s Edge Campground. The Friendly Games were last held in 2015 and Doug Campbell, area 7 director for Zone 2 Alberta 55 Plus, says growth in the community and an increase in the seniors’ population has encouraged their return. 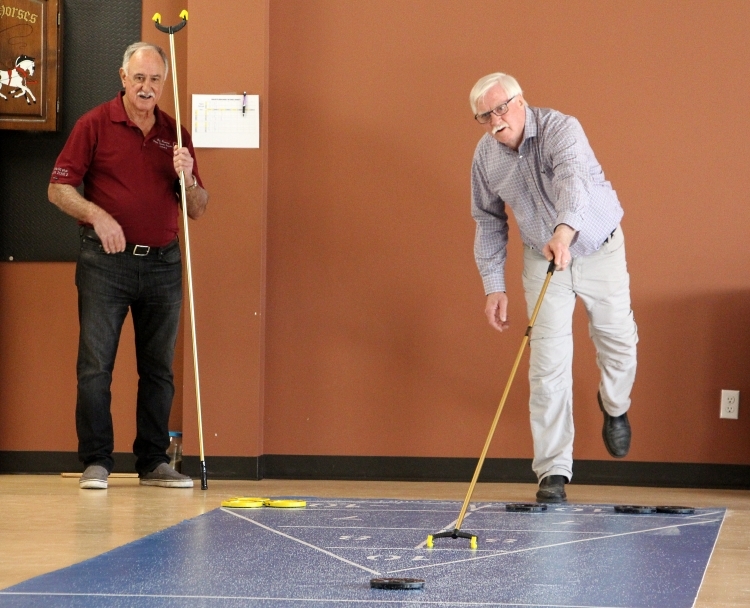 They would like to expand them further and are particularly interested in finding a permanent summer home for their shuffleboard mats and believe they could draw participants from outside of the community. For more information you can contact: Jennifer Mackenzie, 403-932-0717, jimdave@shaw.ca; Nancy Gibbie, 587-362-2009, njgibbie@telus.net; or Doug Campbell, 403-932-6866, dec@cabsi.ca. The countdown has begun for the Alberta 55 Plus Games being hosted in Edmonton, Sept. 7-9. A number of Zone 2 qualifiers are just around the corner.